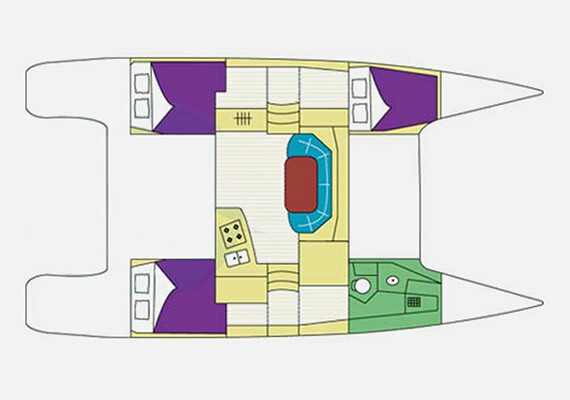 Based on an Olivier Flahault design and with a Joubert / Nivelt hull, this boat is built for safe navigation with comfortable, bright living areas and a fully protected cockpit alongside the saloon. 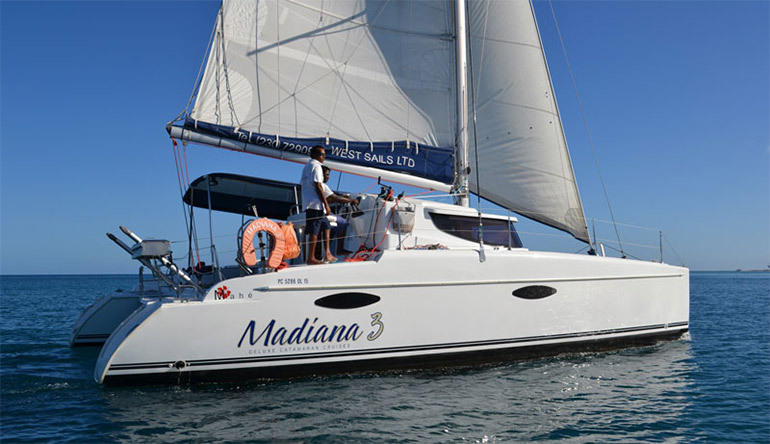 The Mahé 36 allows you to move around freely onboard, enjoying comfort while navigating or while moored. She also presents excellent sailing performances. She is equipped with 3 cabins. One hull is reserved for the master state room with attached lavatory. 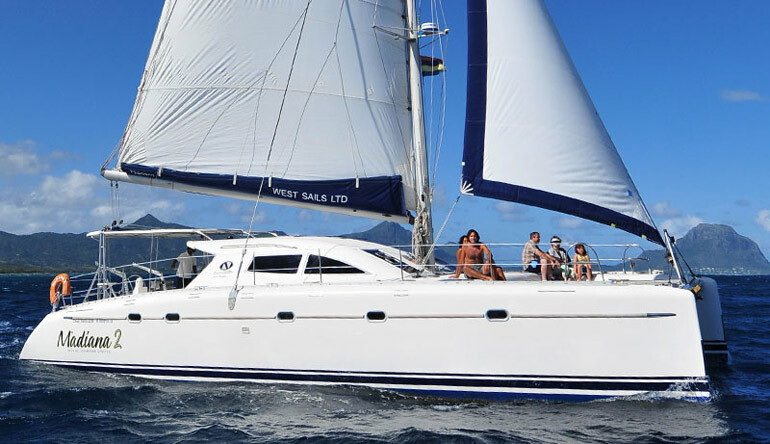 The other accommodates two double cabins, each with all the comfort needed for a relaxing cruise. The Nautitech 475 is a high-performance catamaran, reliable, stylish and made to standards ensuring comfortable and safe sailing that will satisfy the most demanding sailor. Priority has been given to comfort and ease of movement. 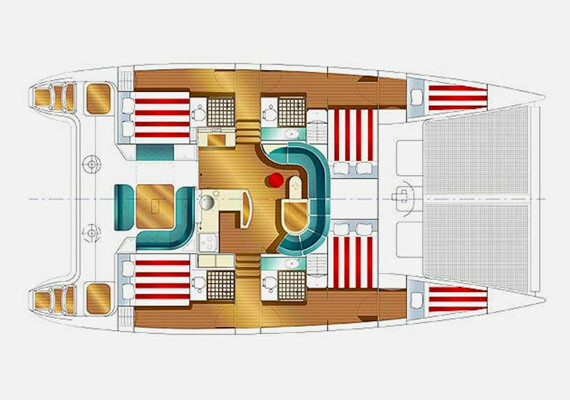 Her cockpit, on the same level as the saloon, is accessible through two large doors, and is sheltered from the sun and the rain by an innovative, cap-shaped roof extension.